Zirconium is a durable substance that can endure wear and tear from everyday use. A Zirconia crown looks very similar to a natural tooth. This is very important for patients getting crowns in the front of their mouths and even more important for cases where the crown will be seen next to the natural teeth. 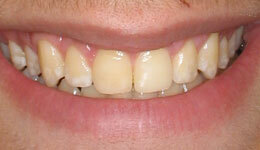 Teeth lose strength when they develop fractures or have had extensive repair due to decay. This loss of strength can affect how your teeth function. 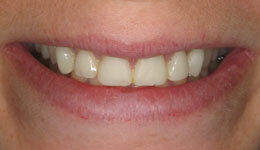 A porcelain crown strengthens the tooth and preserves its remaining, healthy part. This helps to prevent tooth loss or extraction. With porcelain crowns restoring your damaged teeth, you can enjoy all your favorite foods once again, along with excellent dental and general health. 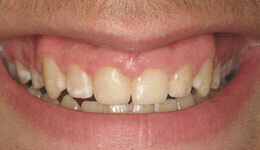 Porcelain inlays and onlays are custom made porcelain fillings. Rather than being applied directly to the tooth like white fillings or the old metal fillings, they are made in our dental laboratory according to our dentists’ instructions. Then when the tooth has been completely cleared of all decay and debris, they are placed in the cavity, where they fit exactly. 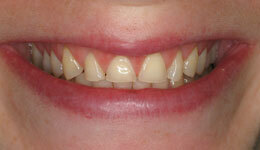 Then the dentist bonds them to the tooth, so that now they are a part of that tooth and will hold it together strongly. Your inlay or onlay will be made from a porcelain that matches your teeth so closely that nobody will know you have a filling.